Every year, World Read Aloud Day, "calls global attention to the importance of reading aloud and sharing stories." 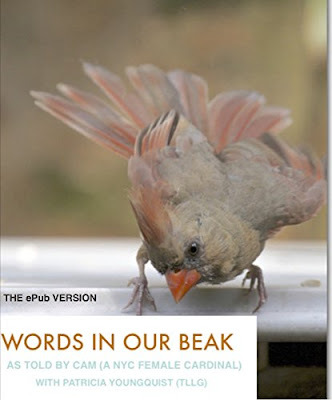 This year the event was held on February 1, 2018, and I gave a shout out to the occasion with an entry on my personal Facebook Page, where I included the image of Cam (my visiting cardinal who authored Words In Our Beak Volume One) that is atop this posting. 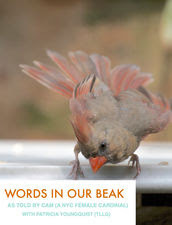 In any event, the softcover version (pictured below) of this book can be previewed on MagCloud (where it is being sold). And the digital versions (iBooks as well as ePub — pictured below respectively) can also be previewed. 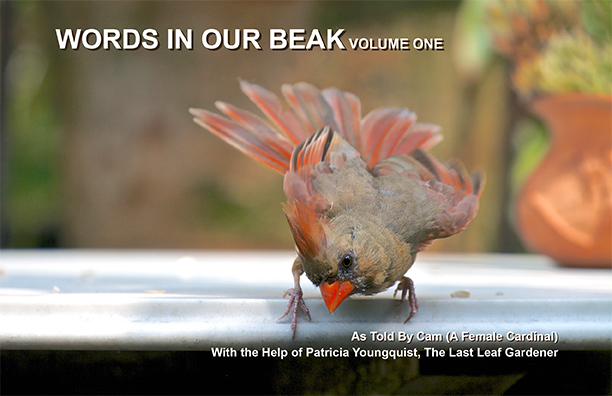 However, as of this blog posting, the venues which are selling the hardcover version, of Words In Our Beak Volume One, do not have a preview or "look inside" feature available. 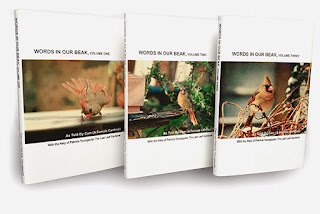 Therefore, I'm most grateful that Ms. Regenbogen, took a few pictures of the interior of her copy (which is hardcover) of Words In Our Beak Volume One, and sent them to me via FB Messenger. Amy's pictures can be seen in images directly below. 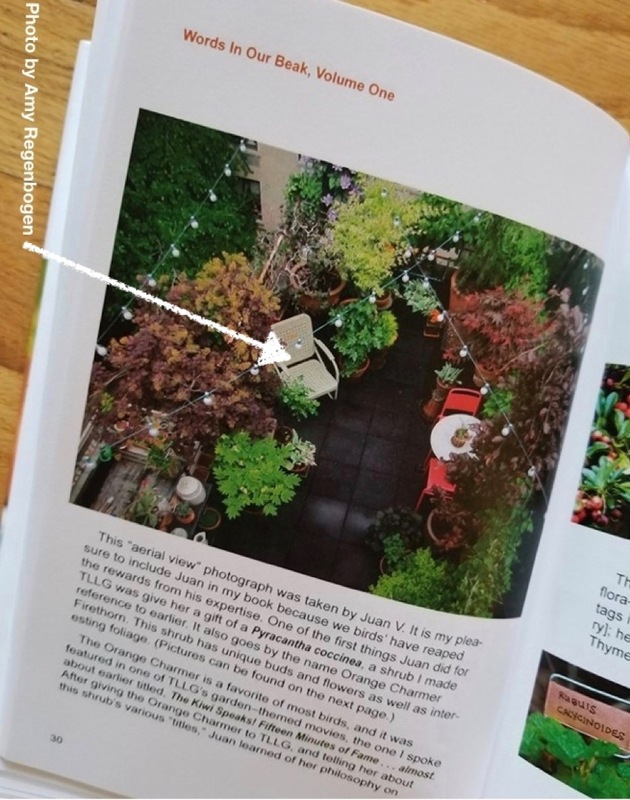 Just by chance, the first of the images directly above, is the same one that Chris Deatherage chose to include in a special email announcement (via Mail Chimp) that is scheduled to go out tomorrow. As some of you may recall, Chris, is the man who designed my web-site and he is also the one who formatted the softcover version, as well as the hardcover version of Words In Our Beak Volume One. 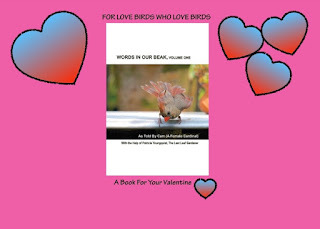 If you are interested in receiving the info from me via email, please post your contact information on my FB mailing list that is included on my FB author page. Meanwhile, I'd like to tell you that the second image which is directly above, features an aerial view of my rooftop garden, which is where the story told in Words In Our Beak Volume One is set. 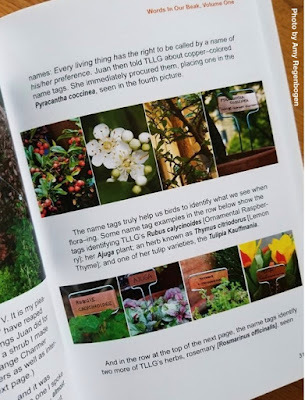 This picture was taken by Juan V, my gardening comrade, whom I've referenced in many blog posts. 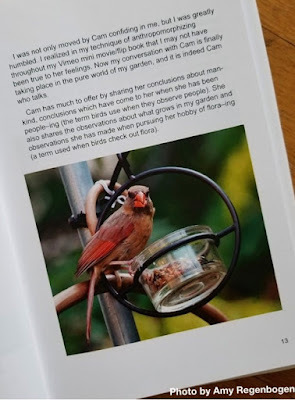 You will notice that I added an arrow to Amy Regenbogen's image of the interior of my book, the arrow is not included within Words In Our Beak Volume One; but I thought my blog readers might be interested to know that Amy is the one who restored the chair that the arrow is pointing to. I've had the bouncer for many years. 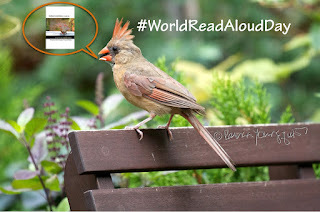 More info re this matter can be found in one of my previous entries here on Blogger. The third image directly above features a page within my book that describes certain flora growing in my garden. There are quite a number of pages within Words In Our Beak Volume One that feature images of flora and the accompanying text describes the relationships between flora and fauna. This book makes a great gift — especially during this year of 2018 — which has been designated as #TheYearoftheBird. It's also a good book to give bird lovers as a #ValentinesDay gift, and, just a reminder, dear reader, as of this blog entry, Valentines Day is less than two weeks away.